Alice Akuka, a Woman Extension Volunteer, in the Bawku West District of the Upper East Region of Ghana. Joyeux 8 mars! Today we recognize the contribution of women to this world as well as the continued constraints that we face in reaching equality. When I was reflecting about 8 mars, my experiences with how much it is celebrated in Burkina Faso came to mind, wishing I had sent for some 8 mars cloth from Ouagadougou. Next week’s Gender Action Learning Fellowship through EWB was also pretty prominent in my reflections. I checked facebook and twitter and read some interesting articles on women, agriculture and development. I was reflecting on the constraints of female farmers in Ghana’s agricultural sector. For example, it is significant and appalling to know that in Ghana, women farmers account for 70% of food production, while only receiving about 4.3% of extension services (Duncan, 2004, pg. xvi & 80). In this recognition, it is crucial to acknowledge the diversity of women’s experiences of opportunities, constraints and discriminations in agriculture in Ghana. That each female farmer’s story is different, based on so many social, cultural, economic and political constraints. Recognizing that diversity, I was thinking about individual farmers that I know and their experiences and it was Alice Akuka who came to mind. Alice is a woman extension volunteer in the Bawku West District of the Upper East Region of Ghana. 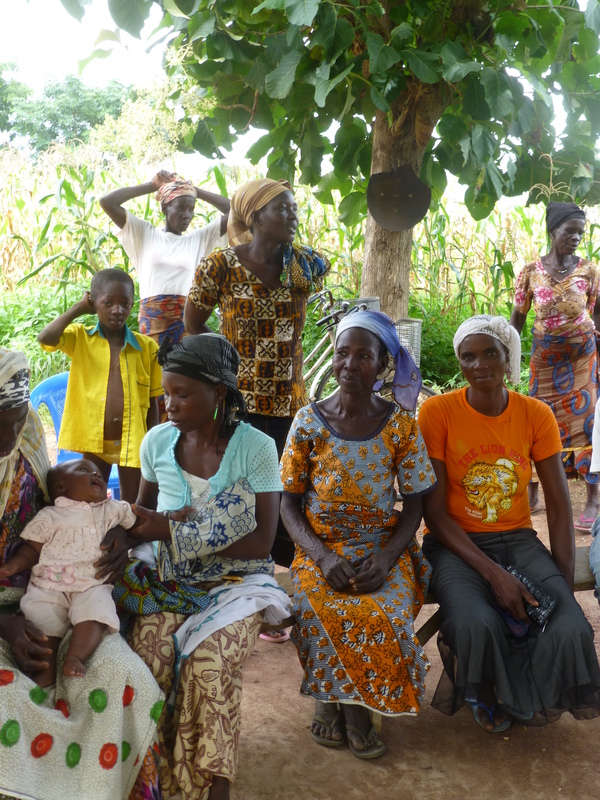 You can read about this programme and the way it seeks to address some of the constraints of female farmers access to extension services in northern Ghana in one of my posts here. So why did I think of Alice? Because she is a Ghanaian female farmer that is working hard for her own personal development and sustainable livelihood, but also investing in women around her. She sees the challenges that she and other female farmers face in getting access to land, inputs and other agricultural services. Alice dedicates much of her time and energy in supporting the many female farmer groups that she works with. She links them with NGOs, with markets and with extension service providers. She inspires them to work hard and achieve what can at first seem daunting to the group. And yet she remains humble, allowing other women to also lead in the groups and always working in collaboration with others. Alice is committed to the development of women in agriculture, to the continued growth of her community and to creating change. Alice’s hard work, leadership and vision for women in agriculture in her area reminds me of all the things we are celebrating today, on this 8 mars. Reference: Akua Duncan, Beatrice. (May, 2004). 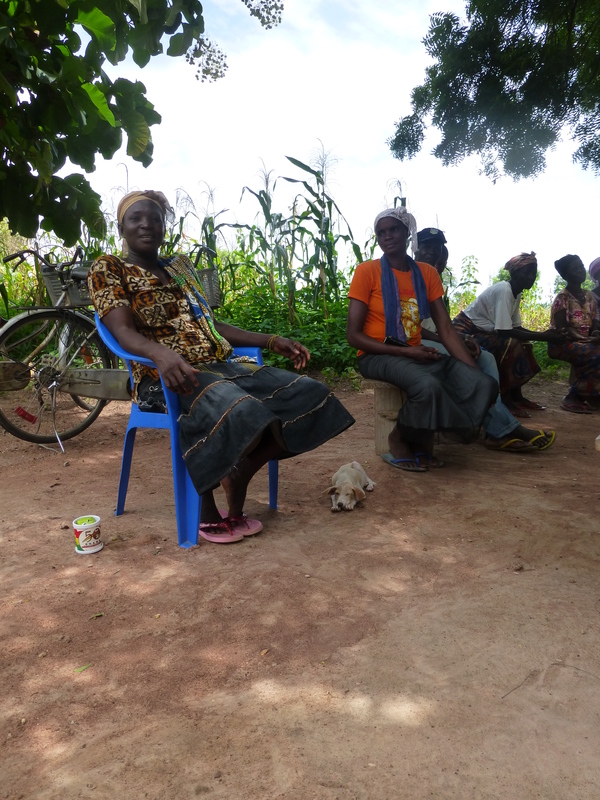 Women in agriculture in Ghana. Friedrich Ebert Foundation. Accra. Alice with some of her group members.